Couvre is a concealer that is applied to the scalp rather than to the hair, to help reduce contrast between skin and hair. Great for that night out on the town. 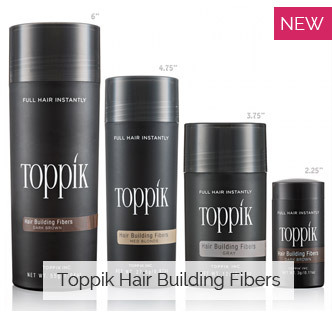 This product best used in combination with Toppik Hair Building Fibers to instantly thicken the appearance of your hair and provide full coverage. You may find Couvre easier to apply with the awesome 360 Mirror, enabling you to easily see the back of your head and all application sites without much effort. So why Couvre? One of the worst parts of losing hair is that moment you see your skin through your hair. It makes your heart sink, and you assume that everyone in the room is staring at it every time they look at you. This is where Couvre comes in. 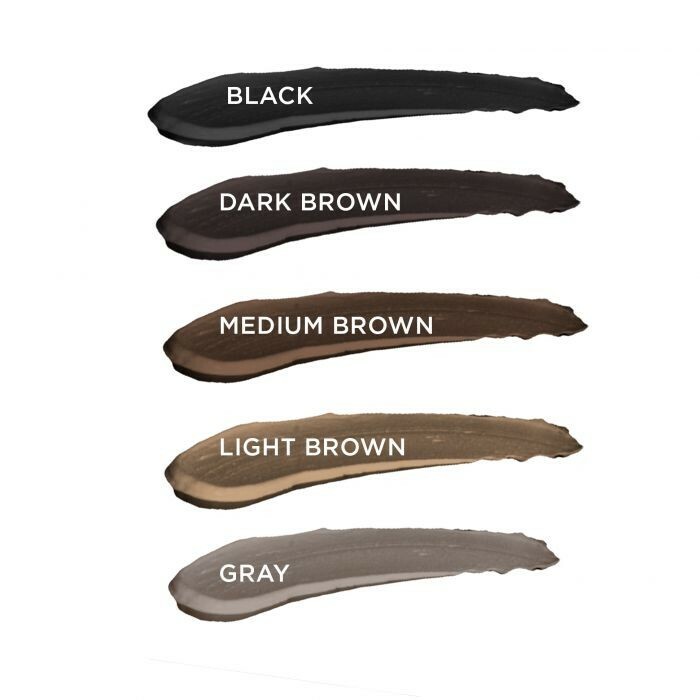 Unlike other concealers that add density to the hair itself, Couvre allows you to add a darker shade to the skin underneath. Its all about contrast. With less light color beneath, your thinning hair will be much less noticeable to others. The great part is - you can still use other concealer products with it. Toppik, and HairMax Fibers add just another layer of visual protection. The end result is peace of mind about your appearance. Is it Safe for the Skin? 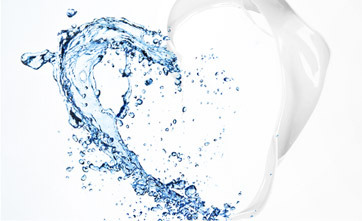 This is a product that has made the rounds in Dermatologists offices for over 20 years. So the answer is yes. 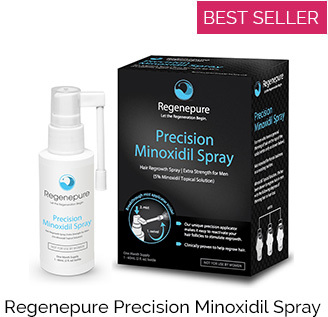 They recommend it to their patients experiencing thinning hair, and it has also been widely used by cosmetic hair transplant surgeons as it makes transplanted hair look much fuller after surgery. Directions: Comb dry or damp hair away from thinning area. Works best on damp scalp. Apply a small amount of COUVRé to the sponge applicator. Dab onto scalp, blending into surrounding hair for a natural appearance. Style as usual. 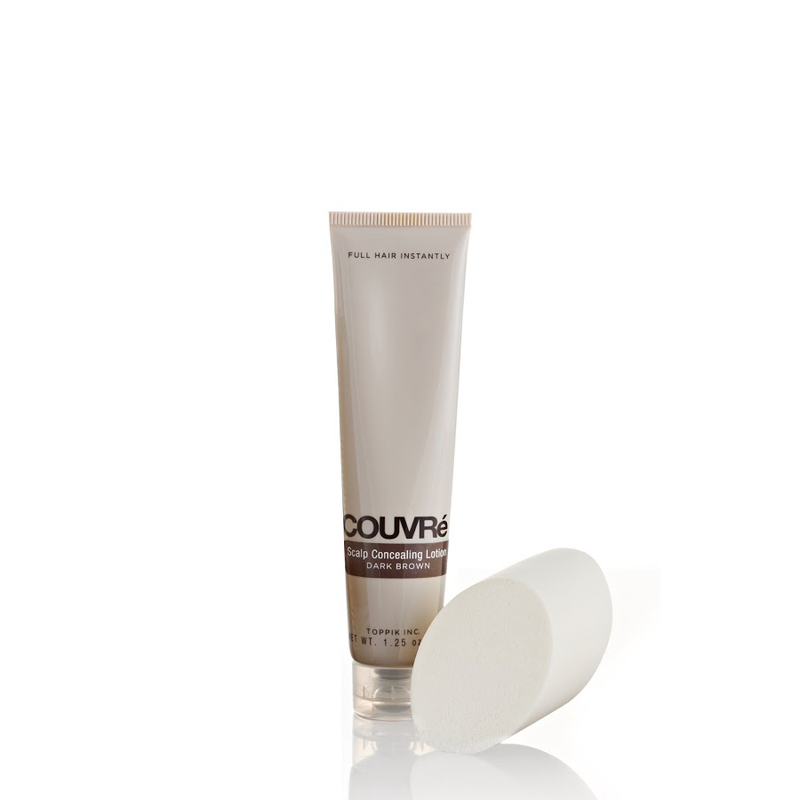 COUVRé resists rain and perspiration, but washes out with normal shampoo. Use daily for best results. This essential grooming aid is used by both men and women. It comes in a convenient tube with a special applicator that make your frontal areas look fuller, and thinning areas disappear. It's economical too - one tube normally lasts 3-4 months. COUVRé will always make you look your best and feel most confident.